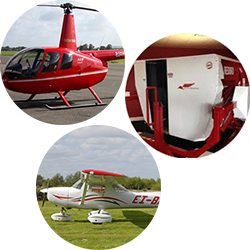 Experience the thrill of flying both a helicopter and Aeroplane in one day! Ideal for someone wishing to see the difference in how these two machines are controlled. Once each aircraft reaches a safe altitude, the instructor will guide you through some basic controls and let you fly the aircraft.